We've all heard the rallying cry: November is coming. Since the 2016 election, thousands of women have channeled their anger and frustration into running for office. Come Election Day on Nov. 6, we are set to witness historic firsts (Rashida Tlaib is set to become one of the first Muslim women in Congress! Christine Hallquist is the first transgender gubernatorial candidate to run for a major party!) and a huge wave of change that could increase the representation of women at all levels of government. One woman made it possible for more than 42,000 of those women to run: Ellen Malcolm. As the founder of EMILY's List, the women's political organization that supports pro-choice candidates running for office, Malcolm revolutionized how people view women candidates. Before, the old boys' club of campaign backers flatly denied supporting women, presuming they could never win an election. Malcolm, however, started her own fundraising club to give all the doubters a real run for their money. "You have to say, 'No, we are not going to live like they did in 'Mad Men,'" Malcolm told MAKERS. Malcolm quickly realized that the biggest barrier women faced when getting into politics was not about qualifications; it was about cash. "Women would go to the traditional funders and they'd say, 'You know, I want to run for Congress.' And the guys would lean back with their cigars and they'd say, 'You don't have a chance of winning so I'm not going to give you any money,'" Malcolm recalls. "Because they couldn't raise any money, they couldn't begin their campaigns, and, of course, they couldn't win." In 1985, Malcolm and 25 women political powerhouses gathered in the basement of D.C. home to discuss how to break through the Congressional glass ceiling, and they all agreed that getting money early on in the campaign was key. Together they launched a fundraising network for pro-choice, Democratic women and named it EMILY's list because "Early Money Is Like Yeast"—it makes the dough rise for women candidates. And thus, a political movement was born. A year later, Malcolm agreed to help fundraise for a Maryland Congresswoman Barbara Mikulski. The burgeoning EMILY's List sent out its first mailer, and the organization helped Mikulski raise just as much as her male opponent, which in turn raised her profile. "The old boys looked at it and said, 'Oh my goodness, she can raise money, we better get behind her,'" Malcolm said. The investment paid off: Mikulski won her election and became the first Democratic woman ever elected to the Senate in her own right. 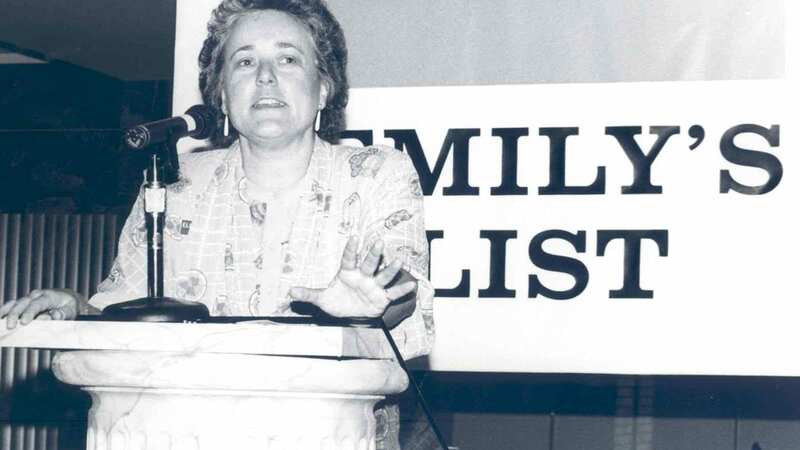 More than three decades later, EMILY's list has swelled into the largest national resource for women in politics and has raised more than $500 million. Now, with five million members and counting, the organization is set on more than just fundraising. They have focused on recruiting candidates to run, supporting women's campaign efforts, and mobilizing voters. After the Anita Hill hearings in 1991, EMILY's List experienced a surge of women interested in pursuing political careers because they were frustrated that the Senate Judiciary Committee was made up of all white men. "Where are the women on that committee, that understand what it is to be a woman in the workplace and be sexually harassed?" Malcolm recalls of watching those hearings. "We started getting inquiries, checks, contributions, telephone calls from women across the country, and it turned EMILY's List into one of the most powerful political organizations in the country," Malcolm tells MAKERS. 1992 eventually became known as the "Year of the Woman" in part because EMILY's List helped elect 24 new women to Congress—the highest in history. That same year, membership grew more than 600 percent with members contributing more than $10 million. The 2016 election—not to mention the recent testimony of Dr. Christine Blasey Ford that prompted a national wave of deja vu—inspired a similar rise in action and activism, especially among a new generation of political voices such as Alexandria Ocasio-Cortez. "A lot of younger women now are thinking, 'Wow, the world is not working the way it should be.' They should go out and help change it." Malcolm says. "You have to help us elect women who are going to fight back," Malcolm tells MAKERS. "When we see our women serving in office, when we see them leading the country, we can know that we're going to live as empowered, free, equal participants in our country."